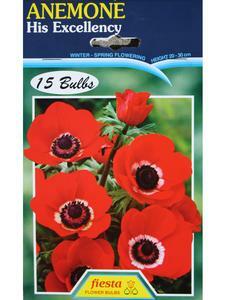 Oderings | Anemone His Excellency Bulbs - giant poppy flowered blooms, brilliant display. These giant poppy flowered blooms 6-8cm across provide a brilliant display from early winter to late spring and are highly valued as a cut flower. Plant late January onwards, provided ground temperatures are reasonable, will ensure masses of blooms from early winter on to spring. 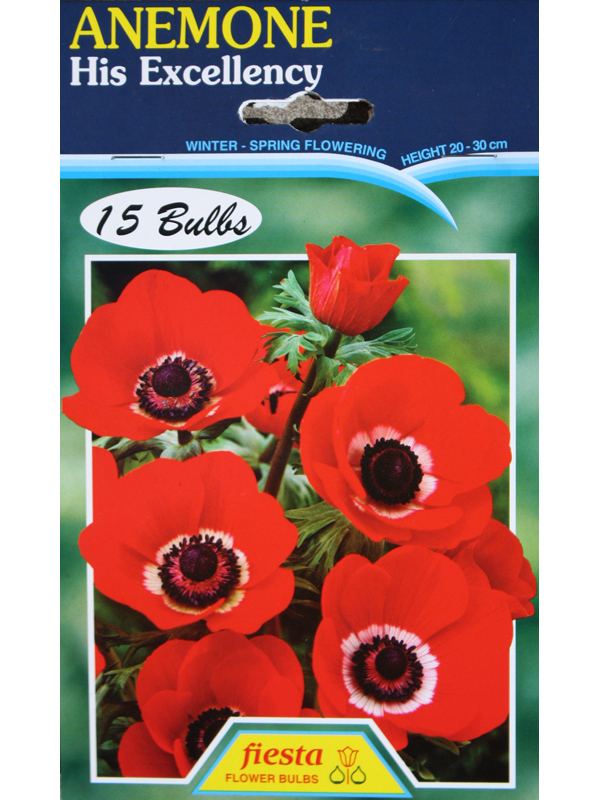 Plant bulbs preferably in groups 3-4cm deep, 6-8cm apart in a sunny well drained position. Add garden fertiliser if required.